Play’n Go to release a Starburst alternative today!! Ever since Starburst by NetEnt went live in 2012, this game tops the chart of the most played slots in Britain. Surely it has much to do with the amazing graphics, and soundtrack the game offers. But one could also say that the multiple Re-Spins with expanding Wilds also contributed to this game’s popularity. Keen to capitalise on their long term rival. Play’n GO have announced that they too are taking players on an intergalactic journey with a game that is well similar to Starburst, Starblast! The new Starblast video slot not only shares a similar name with its twin from another mother. But the game’s features are also extremely similar as you’ll read below. Savvy casino players will recognise the similarities between both games. In fact, the new Starblast also has 5 reels, 3 rows and 10 paylines. 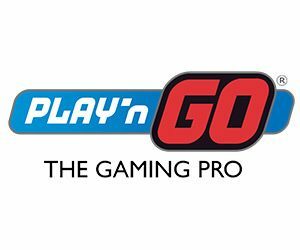 What’s more is that Play’n Go’s release is also a win both way slot, where players will have the chance to trigger Re-Spins every time a star symbol expand on the reels. All and all, the main difference between both games is first the RTP and the max win. Starblast’s RTP is slightly higher at 96.6%. And the max win could reward players with 4000x their stake. What’s more, is that Starblast also appears to have much higher volatility. But this hasn’t been confirmed by the game provider. But to be frank, it’s quite apparent it’s the case. Starburst is a low volatility slot which offers no Multipliers and Starblast can reward combined multipliers up to 9x. It’s not the first time we see a game provider capitalise on Starburst’s success. In 2015 Microgaming released a similar game too which goes by the name of Stardust. And yet this release didn’t seem to phase out NetEnt. As we all say, a copy is the biggest form of flattery, isn’t it? Starblast is going live in online casinos today! Plus, this game is available in all casinos that distribute Play’n Go slots like Rizk casino, Instacasino and Cashmio. So visit them to check it out if we’ve piqued your curiosity!